Temperature controls are automatic devices for heating and cooling. Machines are suitable for setting a desired temperature in tanks or other systems and maintaining it. These are particularly used in wineries to control the temperature in the fermentation process. 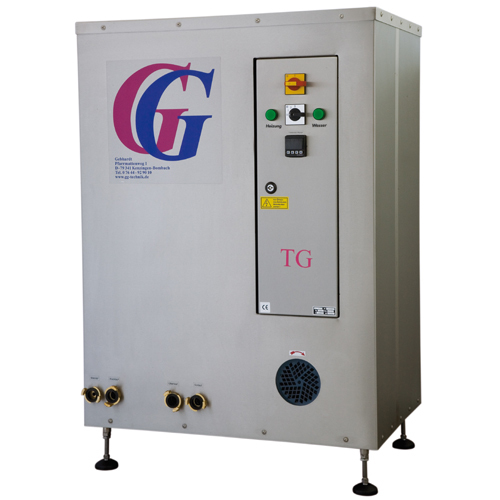 The temperature control machine is developed especially for decentralised application. The machine is connected by hose to the heating or cooling jacket on the tank. The machine automatically fetches water and fills respectively vents the system. The current temperature is displayed and the set-point temperature can be selected.